This fall the Regione Toscana held its annual wine competition -- several days in the Fortezza Medicea in Siena, with several tasting commissions tasting flights of wines and scoring them using standardized forms. I have been in the past, and it's a pleasant exercise because one tastes quickly (no notes to take), and is exposed to a variety of wines one would likely not have occasion to taste otherwise. This year they then gathered the wines that had achieved to top scores, and invited the winemakers to present them at the Stazione Leoplda in Florence. It was an excellent idea, though the organization was a little rocky: the organizers were interested primarily in attracting buyers, and didn't make much of an effort to reach wine writers -- I found out about it because it was mentioned in the press release dedicated to the competition held in Siena's Fortezza Medicea, and when I told them I had no interest in the press conference they had scheduled at noon, but simply wanted to taste the wines, they looked mystified. But they did give me a table, and goblets, and I walked from producer to producer, concentrating primarily on wineries I was unfamiliar with. And indeed, this was the best thing about the event: it offered a nice window for relatively unknown wineries with good wines, and I made some interesting discoveries. Drawbacks? Time; I would have been happy to taste many more wines that I was able to. Piermario Meletti Cavallari founded Grattamacco, one of the better Bolgheri estates, a number of years ago, and then got bored. So he handed it over to someone else, and after thinking about it for a while set up shop in the southernmost part of the island of Elba, in an area of extremely granitic soils that produce very mineral wines. A beautiful place in the summer, he says, though he lives on the mainland during the winter. From next year it will be IGT Costa Toscana. Primarily Vermentino with a little Petit Manseng, which gives acidity and spice. Pale brassy white with greenish accents and brilliant brassy reflections. The bouquet is elegant, and crisp, with greenish accents and bitter almond peel supported by lively almost brambly acidity and some sour (very sour) lemon. Quite nice. On the palate it's bright, with lively lemony loquat fruit supported by deft mineral acidity and some tannic accents as well that resolve into oak leaves, adding depth, while the finish is long and mineral, with just enough sweetness to balance the minerality. Very nice, and will drink extremely well with grilled fish, or even fried fish. Expect it to go quite fast. Piergiorgio decided to use Grenache, which is a Mediterranean varietal, fermented briefly -- not Sangiovese because Elba is too dry, and not the cab-Merlot blend because there's too much of it. To add color some Carignano. 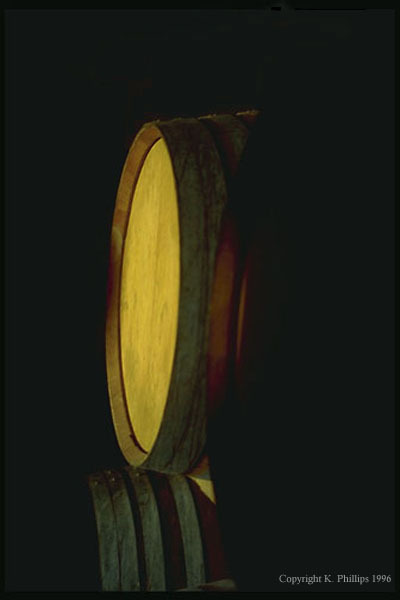 It spent 6 months on old barriques, mostly to oxygenate it. It's lively ruby with black reflections. The bouquet is quite fresh and rich, with cherry and blackberry fruit supported by intriguing hints of black truffle and some brambly acidity. Quite pleasant to sniff. On the palate it's medium bodied, with bright sour cherry fruit that gains direction from currant raspberry acidity and is supported by moderately intense smooth sweet tannins that flow into a fairly tart finish with some bitter accents. Graceful, and a lark of a wine; if you want complexity it's there, but if you want to just drink it with your meal it well also be very good in that setting. A delightful discovery. Elegant almandine with almandine rim. Looks exotic somehow. The bouquet is rich,a nd sweet, with powerful sandalwood and nutmeg mingled with floral accents -- violet flowers -- and berry fruit. A great lot going on, and very interesting, it's one of those wines you can simply swish and sniff. On the palate it's full, and rich, and sweet, with rich black cherry fruit supported by sweetness and sandalwood laced tannins that gain depth from deft acidity, and flow into a fairly long dried prune/date and berry fruit finish with savory sandalwood tannic underpinning. A beautiful expression of Aleatico, and if you like sweeter wines it is one you will treasure. It will be perfect with rich, slightly piquant cheese, for example blue cheeses including Gorgonzola. The other option would be chocolate. Piermario's son instead is in Bolgheri, and this was a pleasant discovery indeed. Lively cherry ruby with black reflections and cherry rim. The bouquet is fairly rich, in a decidedly mineral key with Inida ink bitterness and graphite shavings mingled with currants and red berry fruit. Deft, in a light key. On the palate it's medium bodied, with fairly rich mineral laced berry fruit supported by a nice mixture of mineral acidity and bitterness, and by smooth sweet tannins that flow into a clean fruit laced finish with tannic underpinning. Pleasant, in a lithe and athletic key; it's not at all overripe, a problem one often encounters in Bolgheri and will drink quite well with foods, especially simple grilled meats or light stews, and will go quickly. Deep cherry ruby with black reflections and cherry rim. The bouquet is intense, with India ink and quinine mingled with graphite shavings and savory notes, with underlying red berry fruit; it revolves more around minerality than fruit, and gives an impression of tight control. Interesting, too. On the palate it's quite mineral, with graphite shavings and bitterness supported by mineral acidity and by clean sweet tannins; it's a fairly austere interpretation of Bolgheri, and in keeping with the 2007 vintage. It's also pleasant because there are no hints of overripeness to it, and at the same time there are none of the greenish vegetal accents that Cabernet can have. It will drink very well with succulent grilled meats, along the lines of a porterhouse steak, and will also age nicely for 8-10 years at least. If you like more fruit driven wines it may not grab you as much, but if you like the style you will enjoy it. Montenidoli needs no introduction; Elisabetta Fagioli's wines are among the finest made in San Gimignano, and her Vernaccia sets the standard, at least for me. Pale brassy white with brilliant brassy reflections. The bouquet is bright, with lively brambly acidity and considerable minerality laced with some sour lemon acidity and hints of loquat that confer a degree of sunniness. Very pleasant to sniff, and bracingly young. On the palate it's bright, with rich lemony mineral fruit supported by light white grape tannins that have a slight mineral burr and by deft acidity that carries into a long clean mineral finish. Very pleasant to drink, and will work quite well with grilled or roasted fish, and also fried fish, and because of its power will also be nice with creamy white meats. It's one of those wines one hates to pour out at a tasting. Brassy gold with golden reflections. The bouquet is powerful with considerable butterscotch laced with cedar and bright mineral acidity with some greenish berry fruit accents and also hints of almond bitterness. Great depth and elegance, and also very young. On the palate it's ample, and very smooth, with rich minerality supported by mineral spice that gains roundness and depth from very slight butterscotch sweetness, and it all continues at length, gradually becoming more mineral as the butterscotch fades, but without deviating at all from the path. Perfect balance and an absolutely beautiful wine that is going to be long lived, and could be worth waiting for -- if you have several bottles and patience, because it's quite nice now. I generally prefer Carato from cooler vintages, but this is showing very well. Pale brassy yellow with brassy reflections and white rim. The bouquet is deft, with floral accents and white berry fruit supported by lemony mineral acidity that is almost granitic in texture. Quite young, but has a lot to say. On the palate it's rich, with powerful rather languid lemony fruit supported by deft sour lemon mineral acidity that flows into a clean bright citric finish. It's graceful, though a little up in the air and needs time to really pull together. As Albert Collins said to Stevie Ray Vaughn, "You're good now but you're gonna be better." Lively pale cherry ruby. The bouquet is moderately intense, with delicate violets and cherry fruit supported by slight mentholated spice and some balsamic accents. On the palate it's bright, with lively cherry fruit supported by deft sour cherry acidity and by tannins that though smooth do have a slight burr, and flow into a clean fresh cherry finish with tannic underpinning that gains depth from slight vegetal acidity. It's deceptive, because it comes across as quite simple though there's a lot going on if one cares to look. And it will go very fast, it's one of those bottles that will empty by itself while your back is turned. And this, for me, is one of the most important measures of a good wine. 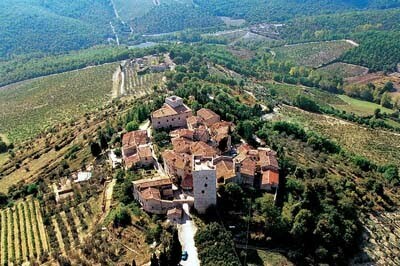 Vincenzo and Antonella have a very pretty estate in Barberino Val D'esa, the heart of Chianti. But they decided to plant Cabernet Sauvignon and Merlot in addition to Sangiovese and go their own way, with the help of Giulio Gambelli. A wise decision, because they have done some extraordinary things. This is a blend of Mammolo and Sangiovese, and is sealed with a glass stopper, which (in my experience) preserves the freshness of the wine. Pale ruby with black reflections and cherry rim. The bouquet is fairly rich, with floral accents mingled with berry fruit and brambly spice, and some cedar as well mingled with menthol. Young. On the palate it's bright, with lively sour cherry fruit supported by cedary graphite shaving bitterness and smooth sweet tannins that flow into a fairly long finish that gradually reveals smoky jammy accents that come as a surprise, as does the greenish warmth that emerges. Because of these facets I wouldn't drink it by the glass far from the table, though it will drink quite nicely with grilled meats or light stews, including more flavorful options such as lamb or game. This is a blend of Sangiovese and Cabernet Sauvignon. Lively black cherry ruby with black reflections and white rim. The bouquet is fairly rich, with cherry fruit supported by bitter India ink accents with hints of quinine, and underlying savory mineral spice. Nice balance, and quite young. On the palate it's fairly rich, with lively cherry fruit supported by deft berry fruit acidity and a fair amount of warmth, while the tannins are elegant, with pencil shavings and graphite mingled with slightly smoky cedar, and it all flows into a long rather haunting finish. Quite pleasant, though it needs another year to come together, and will drink very well with succulent red meats. If you like the style, which isn't overripe and revolves around minerality as much as fruit, you will enjoy it. This is a blend of Cabernet Sauvignon, Sangiovese and Merlot. It's lively black cherry ruby with black reflections and cherry rim. The bouquet is muted, though swishing brings up red berry fruit supported by minerality and graphite shavings. It's clearly developing, but is also promising. On the palate it's deft, with rich cherry black currant fruit supported by mineral laced acidity and by smooth dusky tannins that have some graphite shaving bitterness to them, and flow into a clean rather warm savory finish with underlying tannic bitterness. Pleasant though it does need time, a year at least, co really come into its own. With time it may surpass the White Label, but that's for the future. Vignamaggio is said to have been the home of Monna Lisa, and it is possible -- the villa is old enough, and has a remarkably peaceful feel, rather like the painting. The estate is now owned by Gianni Nunziante, who said, a number of years ago, that dealing with wine people (if I remember right he started out as a lawyer) required a shift in prospective: whenever he got together with fellow Tuscan winemakers, the usual topics of male conversation -- women, soccer and so on -- were useless. All they were interested in talking about was wine. Hence his IGT, Wine Obsession. Lively pigeon blood ruby with black reflections and hints of almandine at the rim. The bouquet is fairly rich, with brambly berry fruit supported by a fair amount of warmth, alcohol, bright spicy vegetal acidity, and some underlying cedar. It's quite young, and decidedly brash. On the palate it's deft, with lively cherry fruit supported by brisk sour cherry acidity and by tannins that have a slight burr and flow into a clean warm cherry laced finish with underlying minerality and tannins. Quite pleasant, in a rather lithe tomboyish key, and will drink very well with roasts or stews. If you like smoother softer reds it won't work as well for you, but if you like the brashness of more traditional Italian wines you will enjoy it very much. Lively cherry ruby with black reflections and slight hints of orange in the rim. The bouquet is deft, with cherry and currant fruit supported by delicate peppery spice and slight vegetal accents that confer a certain languidity, with underlying hints of graphite shavings that gradually emerge, On the palate it's deft, and medium bodied, with fairly rich cherry prune fruit supported by minerality and graphite shavings more than bright acidity, and they do a fine job of providing direction, while the tannins are smooth and again have a mineral underpinning to them, and flow into a clean savory finish with bitterness and warmth. Quite pleasant, in a deft fairly international key, and will drink very well with mixed grilled meats or a lighter roast, along the lines of roast turkey. It will also age nicely for 5-8 years. Lively pigeon blood ruby with black reflections and paler rim. The bouquet is elegant, and quite classic, with smoky vegetal accents mingled with bell pepper and graphite shavings, and also some hints of chalk. Pleasant to sniff. On the palate it's deft, with bright forest berry fruit supported by slight vegetal accents and by moderate brambly balsamic acidity, and by tannins that are fairly smooth, but do have a textured burr, and flow into a clean deft slightly vegetal finish. Very pleasant, and though it is still quite young it will drink nicely with grilled red meats now -- more important cuts, including the Porterhouse -- and will also age nicely for a decade or more. Tawny amber with brilliant apricot gold reflections and slight greenish notes on the rim. The bouquet is quite sweet, with dark brown sugar and some oatmeal mingled with dried dates, walnut skins, and a fair amount of warmth. Gives an impression of great sweetness, and also considerable ripeness, which would be in keeping with the vintage. On the palate it's sweet, with dried dates and prunes supported by warmth and sour plum acidity, while there is also walnut skin bitterness that provides contrast, and gradually emerges to balance the sweetness in the finish. Pleasant, and will drink nicely with cheeses or with like minded friends far from the table. It's too good for biscotti. I confess that Montepulciano is something of an enigma to me. Every year at the Tuscan vintage presentation I find it to be the weakest of the three Appellations -- the other two are Chianti Classico and Brunello -- but if the wines are given a little more time, they emerge much better than they did during the presentation. Bindella provides an excellent example. This is Sangiovese with 10% Syrah; it's cherry ruby with black reflections and white rim. The bouquet is quite fresh, with deft cherry and raspberry fruit supported by violets and some lavender, and also by pleasant spice, with slight alcohol and hints of underbrush. On the palate it's light, fruity, and fresh, with bright cherry currant fruit supported by mineral acidity and by tannins that have a brambly burr with hints of underbrush, and flow into a fairly long clean ripe cherry finish with tannic underpinning. A lark of a wine that will drink very well with the simple grilled meats of a cookout, or with thick legume based soups and other dishes (fagioli all'uccelletto come to mind), and will go quickly. Expect to need a second bottle. This is 85% Sangiovese, with the remainder a mix of Colorino, Canaiolo and Mammolo, and ages in botte. It's deep cherry ruby with black reflections and cherry rim. The bouquet is fresh, and vinous, with red berry fruit and some spice, and also slight vegetal accents. It's still coming together. On the palate it's ample, with fairly rich cherry fruit supported by dusky bitterness laced with some brambly acidity, and by tannins that have a clean rather dusky burr, and flow into a fairly long bitter finish. Pleasant in a fairly traditional key, and will drink nicely with hearty grilled meats or roasts; including fattier meats that will need something to clear the palate between bites. If you like the style you will enjoy it very much. This is Sangiovese, and ages for 18 months in barriques. It's deep black cherry ruby with black reflections and lively cherry rim. The bouquet is fairly intense, with sour berry fruit balanced by spice and cedar, and supported by some brambly acidity, though not that much. With respect to the Bindella it's a bit behind, but this is because it has had more oak. On the palate it's ample and smooth, with fairly rich sour cherry fruit supported by berry fruit acidity and by tannins that have a dusky cedary imprint that dips into graphite shavings in the finish, which is rather bitter and quite long. It's quite different from the Bindella, smoother and richer (it's a selection of the best grapes on the Estate), more polished, and frankly more international. If you prefer smoother more polished wines you will prefer it; if you prefer the greater aggressiveness of that more traditional style you will prefer the Bindella. This is 45% syrah, with the remainder Sangiovese and Cabernet Sauvignon, and it spends 18 months in barriques. Lively cherry ruby with black reflections and cherry rim. The bouquet is fairly rich, with ripe but not jammy cherry and forest berry fruit supported by underbrush and mentholated spice, with slight graphite shavings too. Deft, in a rich and fruit driven key. On the palate it's full and quite smooth, with rich cherry prune fruit with some forest berry fruit as well, supported by mineral acidity and by smooth sweet tannins that have some underbrush accents as they flow into the finish, which is clean and mineral, with some vegetal notes as well. Quite pleasant in an international key and very approachable; it will drink well with succulent not too fatty roasts -- roast beef cut thick comes to mind -- and if you like the style you will enjoy it considerably. This is from syrah; it's pale pink with some salmon accents. The bouquet is fresh, with rich fairly sweet not jammy raspberry fruit that gains depth from brambly notes and hints of mentholated spice, also slight vegetal notes. Welcoming. On the palate it's light, with fairly rich brambly berry fruit supported by moderate acidity and light tannins that have a mineral burr and flow into a clean rather mineral finish with underlying vegetal notes that continues at length. It's more of a sipping wine than a food wine -- the acidity is a touch low for the foods one usually serves a rose with -- but will be nice sipped with friends, perhaps with a platter of mixed antipasti. This is from the Babone vineyard, and is a blend of Sangiovese, Syrah and Merlot. It's Lively cherry ruby with black reflections, and has a fairly intense bouquet with berry fruit laced with graphite and some spice with some underbrush as well. Nice depth and balance. On the palate it's medium bodied, with moderately intense berry fruit supported by minerality and some vegetal notes, while the tannins are fairly smooth. It's pleasant, though not quite as tight as I might have hoped, and will drink well with grilled red meats. This is 50% syrah, 30% Cabernet Sauvignon and 20% Sangiovese, and ferments in steel followed by 18 months in barriques. It's lively cherry ruby with black reflections and cherry rim. The bouquet is moderately intense, with underbrush mingled with berry fruit and some spice, supported by moderate alcohol as well. On the palate it's ample and quote smooth, with fairly rich cherry fruit supported by dusky tannins that have slight vegetal accents, and by moderate mineral acidity that does a good job of providing direction without getting in the way. Pleasant in a decidedly international fruit driven key, but not overripe, and the tannins that back up the fruit are nice. It will drink nicely with grilled meats or roasts -- red meats, but not really heavy things such as lamb -- and even if you're more traditionally minded you'll find things to enjoy with it. Gualdo del Re is one of the most prominent wineries in the Val di Cornia, just south of Bolgheri on the Tuscan coast, and justly so. Very nice wines. This is a Vermentino. It's pale brassy yellow with brilliant brassy highlights. The bouquet is rich, with powerful loquat fruit mingled with slight passion fruit supported by some heather and slight bitter almond skin accents. Pleasant and rather graceful. On the palate it's bright, with fairly rich lemony loquat fruit supported by bright loquat lemon acidity that keeps the wine nicely on its toes, and it flows into a clean, bright rather tart finish. Graceful, and will drink quite well with fish based pasta dishes or risotti, grilled or roasted fattier fish, and also has the acidity necessary for a nice platter of fried fish. This is a Merlot. Deep pigeon blood ruby with purple reflections. The bouquet is fairly intense, and jammy, with black currant fruit supported by slight balsamic accents and hints of sandalwood more than cedar, and by some mentholated spice. On the palate it's medium bodied, with fairly rich black currant fruit supported by mineral acidity and by dusky tannins that have a very smooth framework, but also have a slight youthful burr that draws from cedar -- the oak tannins are rougher than the grape tannins -- and flows into a clean cedar-laced black currant finish. It's quite young, and needs another year for the tannins to fold in, at which point it will be pleasant in a rather international fruit driven key, and drink well with drier roasts, for example turkey or pork. This is a Cabernet Sauvignon. Deep black almandine with black reflections and hints of almandine in the rim. The bouquet is muted, though swishing brings up some bell peppers and slight vegetal accents mingled with slight berry fruit- Needs time. On the palate it's full, and fairly vegetal, with pleasant mineral acidity and tannins that have graphite shaving bitterness and some minerality, and flow into a clean vegetal finish. Quite pleasant, and a nice rendition of cabernet that ripened well, but is not overripe. It's young, and the nose needs another year, but it will drink well with hearty roasts. This is Sangiovese. It's deep cherry ruby with black reflections and cherry rim. The bouquet is young, but developing, with fairly bright cherry fruit supported by sour cherry acidity and hints of lemon acidity as well, and there is also slight cedar that adds depth. Gives an impression of tartness. On the palate it's bright, with lively sour cherry fruit supported by brambly berry fruit acidity and by tannins that are fairly smooth, but do have a dry Sangiovese burr, and flow into a clean rather sour finish with tannic underpinning. Pleasant, and will drink very well with mixed grilled meats or roasts, and will also be nice with a hearty stew. The Val D'Orcia is between the Nobile di Montepulciano and Brunello di Montalcino production zones. Beautiful rolling countryside that is tremendously open, and gives an impression of airy freedom. They were behind with respect to both of the more famed appellations, but are working hard and the wines have improved considerably in recent years. Tis is usually a 70-30 blend of Sangiovese and Malvasia Nera, but in this vintage the Malvasia Nera didn't produce, and they instead added 20% Merlot. It's lively almandine ruby with almandine rim. The bouquet is welcoming, with fairly rich slightly jammy cherry black currant fruit supported by slight menthol and eucalyptus, and some tart acidity. On the palate it's fairly light, with lively sour cherry fruit supported by slightly brambly acidity and tannins that have a distinct burr, and flow into a decidedly tannic finish with lasting warmth. I wouldn't have guessed there was Merlot in it if they hadn't told me; it has a tart rusticity to it that is decidedly invigorating, and will make it a fine bet with a platter of grilled or fried meats. If you like the style, which is far removed from polished smoothness, you will enjoy it considerably, but you have to like the style. This is a new winery from Montecucco, whose vineyards are at elevations between 4 and 500 meters, on the flanks of Monte Amiata in the Comune of Castel del Piano. It's small, three hectares, and works primarily with Sangiovese, though they do add a little Cabernet to their basic wine. This was their first vintage of the wine, and is a 70-30 blend of Sangiovese and cabernet. It's lively cherry ruby with black reflections and white rim. The bouquet is fairly rich, with mentholated cherry fruit supported by spice and some acidity, though not too much, and some vegetal accents. The palate is fairly bright, with lively sour cherry fruit supported by sour berry fruit acidity and by tannins that are quite dry, and flow into a dry tart finish with some hints of cedar. It's not a sipping wine, and will instead work well with grilled meats, including fattier cuts, and also fried meats, including flavorful cuts such as breaded lamb chops. It's aggressive, and you have to like the style; if you do you will enjoy it. Here the Sangiovese-Cabernet blend is 90-10; the wine is deep cherry ruby with black reflections. the bouquet is intense, and rather vegetal, with greenish accents mingled with bright acidity and sour berry fruit, with some sandalwood spice as well. On the palate it's smoother than the 07, with fairly bright sour cherry fruit supported by lively berry fruit acidity and by smooth sweet tannins that flow into a long tart sour cherry finish. Pleasant, in an aggressive key, and if you like the style it will work very well with a platter of mixed grilled or fried meats. If you prefer smoother softer wines it simply won't work for you, and in this it's a wine that takes no quarter. But is definitely worth looking for if you like the style. Lively cherry ruby with black reflections. the bouquet is moderately intense, with menthol and some vegetal accents mingled with berry fruit and slight cedar. On the palate it's quite pleasant, with rich sour cherry fruit supported by sour berry fruit acidity and by tannins that have a slight burr, though they are smooth overall, and it flows into a clean rather tart finish. Graceful, and quite pleasant, though the nose needs a little more time; I would give it another year. It will work nicely with grilled meats or roasts, and also has the acidity necessary to work with fried meats and vegetables. With respect to the Montecucco base it is smoother and more polished, and therefore less extreme; even if you generally prefer smoother softer reds it will, with the proper foods, please you. Expect the bottle to go quickly. Lively almandine ruby with black reflections and white rim. This was just bottled, and the bouquet is still up in the air, revealing fairly intense cedar that will certainly fold in with time, coupled with red berry fruit. On the palate it's much more similar overtones the 2006, though a touch smoother, with bright cherry fruit supported by lively tart cherry acidity and by tannins that have a slight hint of cedar to them, and flow into a clean rather tannic finish that settles into dryness. Pleasant, but needs at least a year; it terms of accompaniments it will work well with hearty grilled or fried meats. Lively cherry ruby with black reflections and cherry rim. The bouquet is fairly rich, with sour cherry fruit supported by some vegetal accents and spice, including black pepper, sea salt, and slight cedar as well. On the palate it's medium bodied, with lively sour cherry fruit supported by brisk sour berry fruit acidity, and by tannins that are fairly smooth, though they do reveal a dusky Sangiovese burr in the finish, which is fairly long, and settles into sour cherry fruit with slight balsamic accents as well. It's pleasant in a high altitude key; the grapes ripened but didn't overripen, and maintain lively acidity that gives the wine a pleasing aggressiveness as well. If you like the style it will work quite well with fattier grilled or roasted meats, including lamb, and it will also age nicely for 3-5 years. The winery is clearly new; there is a distinct change form the fist to the second vintage of all the wines, in a direction of greater refinement and elegance, and it will be interesting to follow future vintages. This is one of the smaller wineries in the Chianti Rufina zone. I have always enjoyed their wines, and was happy to come across them here. This is from a podere on the edge of the Chianti Rufina zone, and is a 90-10 Sangiovese Cabernet blend. It's lively cherry ruby with black reflections and cherry rim. The bouquet is fresh, with sour cherry fruit supported by lemony acidity and some mentholated floral accents with a fair amount of warmth as well. On the palate it's light, and scrappy, with tart berry fruit supported by lively tannins that have a warm Sangiovese burr and flow into a tart berry fruit finish with lively tannic underpinning. It's quite fresh in an aggressive key, and will work very well with grilled or fried meats; if you like the style you will enjoy it. If you prefer smoother softer wines you may find it a bit much. This is Sangiovese; it's lively cherry ruby with cherry reflections and white rim. The bouquet is fairly rich, with brambly berry fruit supported by brambly acidity and some berry fruit spice. Lively. On the palate it's medium bodied, with bright sour cherry fruit supported by smooth sweet tannins that flow into a slightly greenish sour cherry fruit finish. Quite smooth, and graceful in a willowy tomboyish key; it will drink very well with simple grilled or fired meats and vegetables, and is considerably more approachable than the Chianti, in a light deft key; it doesn't have the aggressiveness but does have the acidity, and will work very well with foods. They didn't make a 2006 Riserva, and the 2007 isn't ready yet, so here we are. The wine is lively almandine ruby with black reflections and almandine rim paling to garnet. The bouquet is intense, with elegant slightly brandied cherries that have hints of caramel to them supported by dark leather, some cedar and some greenish mineral squash accents. On the palate it's medium bodied, with fairly rich berry fruit supported by warm balsamic notes and balsamic acidity, while the tannins are dusky, with savory bitter accents, and flow into a clean warm slightly greenish tannic finish that resolves into savory tannic warmth. It's powerful, and a nice expression of the vintage, which was cooler and wetter, with a certain degree of austerity. It will drink well with hearty grilled meats or roasts, for example a thick steak. Bindi Sergardi is a historic Tuscan family, of the sort that once marshaled armies and went victoriously to war. In other words, serious people. And they're still serious, though they have changed their focus some -- to wine, and I liked what I found. This is the classic blend, Trebbiano and Malvasia with a little Chardonnay added. It's brassy white with brilliant brassy reflections and white rim. The bouquet is moderately intense, with initial hints of scalded milk that give way to floral accents mingled with white berry fruit and slight tropical fruit, and some heather. On the palate it's fairly rich, with savory white berry fruit supported by savory mineral acidity that flows into a fairly long mineral finish with some savory bitterness. A classic, very simple white wine that will work well with vegetable soups and pasta dishes, and also with simple fish dishes. Pale almandine with white rim. Lively looking. The bouquet is fresh and quite young with lively sour berry fruit supported by sea salt and some greenish spicy notes, mingled with hints of squash. Lively and bright. On the palate it's light, with fresh sour cherry fruit supported by lively cherry acidity and by light tannins that have a slight burr, but are overall smooth. Very fresh, a perfect wine for a picnic or cookout, and one that will also work quite well with red sauced pasta dishes, or hearty soups, and if you like the style, which is classic Chianti with a fair amount of acidity i.e. a food wine, you may even want to drink it when you feel like a glass of undemanding wine. Expect the bottle to go quickly. Lively almandine with black reflections and almandine rim. The bouquet is more powerful than that of the Chianti Colli Senesi, with brambly red berry fruit supported by heather and some menthol, with hints of leather as well. Nice balance. On the palate it's ample, with bright sour cherry fruit supported by deft slightly greenish berry fruit acidity and by tannins that are quite smooth, with barest balsamic accents, and flow into a clean fresh sour cherry finish. Pleasant in a slightly scrappy key, and a sunny wine that will work nicely with simple grilled meats or light stews, and also has the acidity necessary to stand up to a platter of fried meats, including richer fare such as lamb chops. A pleasant food wine that will go quickly. Deep black cherry ruby with black reflections and almandine cherry rim. The bouquet is muted, though swishing brings up berry fruit mingled with some spice, and also greenish heather and slight cedar. Nice balance, but still coming together. On the palate it's medium bodied, with fairly rich cherry fruit supported by moderate acidity, and by tannins that still have a cedary element and flow into a dusky finish. It's in mid stride, and needs time, at least a year, to come together and get its bearings. When it does it will be pleasant in a middle of the road key, and drink nicely with succulent, not too fatty roasts or stews. This is a 60-40 Merlot Cabernet blend. Lively cherry ruby with black reflections and cherry rim. The bouquet is intense, with lively slightly jammy cherry and forest berry fruit supported by some underbrush and hints of leather and leafy accents with underlying graphite shavings. Nice balance and rather cheeky. On the palate it's fairly light, with rich ripe cherry plum fruit supported by moderate acidity and by tannins that have a warm slightly greenish burr and flow into a clean tannic finish that flows into lasting warmth. To be honest, I would not have guessed it has as much Merlot as it does from the tannins, which are rather dry and much more in keeping with Cabernet. This said, it will work very well with foods, ranging from hearty pasta dishes -- northern lasagna with béchamel and meat sauce comes to mind -- to grilled meats and roasts. The tannins are a little too rough to drink by the glass far from the table now, though it does have nice aging capacity too. This is a Sangiovese in purezza; it's lively ruby with black reflections and cherry rim tending towards almandine. The bouquet is fairly intense, tart, and vinous, with bright berry fruit supported by sour berry fruit acidity and some alcohol, and underlying India ink bitterness supported by quite a bit of spice. Nice balance in an international key. On the palate it's medium bodied with fairly intense rather sour cherry fruit supported by cedar-laced berry fruit acidity and tannins that have a warm cedary burr and flow into a fairly bitter finish. It's fairy agile, though the oak is apparent, and because of it I wouldn't drink it far from the table. That same tannic dryness, however, will make it a good bet with fattier meats, for example roast leg of lamb, or a porterhouse steak. This is Cabernet Sauvignon in Purezza. Deep pyrope ruby with black reflections and cherry rim paling to white. Looks charged. The bouquet is powerful, and rather blocky, with forest berry fruit supported by wood shavings and hints of green banana, which are again fresh oak, in considerable abundance, which overshadows the fruit. On the palate it's full, with fairly rich black currant fruit with some blackberry overtones, supported by warm mineral acidity and smooth tannins that have a dry cedary overlay and flow into a fairly dry tannic finish with bitter undertones. As was the case with the Sangiovese, it's a bit dry to be drunk far from the table, whereas the dry aggressiveness of the tannins will make it work well with fattier meats especially succulent roasts. Both are quite concentrated, and heavily oaked; as Carlo points out, if the goal is to highlight the characteristics of the vineyards, why oak the wines up this much? It might make them appealing to a certain segment of the International wine press and their followers, but obscures what was supposed to be brought out. Though the Orcia appellation allows blending, this is 100% Sangiovese. It's almandine with black reflections and almandine rim paling to orange. The bouquet is delicate, with leathery berry fruit supported by moderately intense acidity and some balsamic notes, and also by dusky spice from grapes. Harmonious and pleasant in a traditional key. On the palate it's medium bodied, with bright sour berry fruit supported by considerable sea salt and bright berry fruit acidity, and by tannins that have a warm greenish burr and flow into a clean bright sour cherry finish with powerful tannic underpinning that goes on at length. It's pleasant in an austere, traditional key, and also fairly aggressive; it's a wine that will work quite well with grilled or fired meats, and also with hearty pasta dishes in the short term, and will also mellow nicely for 5-8 years. Worth seeking out. If you like the style. Almandine with black reflections and almandine rim paling to orange. The bouquet is fairly rich, with leathery red berry fruit supported by spice, balsamic notes and green leather, with as it opens intriguing vegetal accents. Harmonious and complex. It's a little richer than the Orcia, though the two are stylistically quite similar. On the palate it's medium bodied, with rich slightly balsamic cherry fruit supported by hints of sweetness, balsamic berry fruit acidity, and smooth sweet tannins that flow into a clean slightly balsamic cherry finish with savory underpinning. Quite pleasant in a traditional key, and will drink very well with succulent red meats. If you prefer the more traditional style, you will enjoy it very much, and even a modernist will find things to think about. This spent three years in wood, and then went into glass. It's a brooding almandine that's a bit darker than the Rosso, and pales to garnet in the irm. The bouquet is elegant, with rich delicate spice and berry fruit that has slight sweetish accents, and hints of menthol. Quite harmonious, and also very young. On the palate it's full and smooth, with powerful, elegant cherry fruit supported by clean slightly sour berry fruit acidity and by tannins that are quite smooth, though not yet silky -- they will be with time -- and flow into a clean rich berry fruit finish. Beautiful wine, and though one could drink it now with a steak or a roast -- a crown roast would be about right -- it will richly reward those with the patience to give it time. Up to 20 years or more. This spent 4 years in wood, and therefore has a year less in bottle under its belt. It's a slightly rich, slightly brighter almandine than the 2004 Brunello. The bouquet is not as far along as the Base's though what emerges is elegant, with leathery berry fruit mingled with spice and alcohol; it's still developing but promises well. On the palate it's fuller and richer than the base, with powerful cherry fruit supported by deft berry fruit acidity and slight smoky balsamic accents, while the tannins are ample and quite smooth, and flow into a clean bright fairly rich tannic finish with bitter underpinning. It's quite elegant but needs another 2-3 years to come into its own. Not quite a work in progress, but destined to improve. Deep almandine with black reflections and almandine rim. The bouquet is fairly intense, with jammy berry fruit that has slight balsamic mentholated accents and is supported by underbrush and vegetal spice. Nice depth, and has a chewy feel to it. On the palate it's ample, with fairly rich cherry fruit supported by deft cherry acidity and by tannins that are nicely polished, but gain definition from a slight burr and flow into a clean slightly sour, sweetish berry fruit finish. It has a bit of a hot weather feel to it, thanks to the jamminess of the fruit and the warmth of the tannins, and will drink nicely with grilled meats or light roasts. Deep pigeon blood ruby with black reflections and some almandine in the rim. The bouquet is fairly intense, with considerable underbrush and some wet leather mingled with minerality; it has a mature feel to it and there's not that much fruit, more the tertiary elements. On the palate it's medium bodied and quite smooth, with rich slightly sour cherry fruit supported by dusky acidity that has slight balsamic brown sugar accents and by tannins that are quite smooth, and flow into a clean rather tannic finish with dusky graphite bitterness. Pleasant in a slightly scrappy key, and is something to consider if you like wines that have a bit of austerity to them; it will drink nicely with roasts or stews and will also age nicely for another 8-10 years. This is a Sangiovese-Merlot blend; it's deep pigeon blood ruby with black reflections and some almandine in the rim. The bouquet is fairly intense, with savory balsamic accents mingled with wood smoke and slight animal tang; it's pleasant, in a slightly rustic key. On the palate it's full and quite smooth, with fairly rich cherry cassis fruit supported by moderate acidity and warmth, and by tannins that are quite smooth and flow into a clean cassis laced finish with warm tannic underpinning. Pleasant in a traditional key, with acidity that keeps it on its toes and tannins that have a balsamic feel to them, and if you like the more traditional style and want to see it applied to an Igt, this is a good place to start. In terms of accompaniments, I would think of a porterhouse steak. This is a cooperative winery in the Colli Aretini, and I was happy to see it, also because of the four great winemaking areas recognized by Duke Cosimo III de'Medici in 1716, the Colli Aretini is the one that has fared least well over time. With any luck this is the tip of an iceberg. Pal almandine with black reflections and almandine rim. The bouquet is fresh, and lively, with violets and red berry fruit supported by spice and a fair amount of alcohol. Graceful, and harmonious in a young ripe but not overripe fruit driven key. On the palate it's slightly riper than I expected, and medium bodied, with bright cherry plum fruit supported by dusky tannins that have a warm graphite burr and by a fair amount of alcohol, and it all flows into a clean prune laced finish with underlying bitterness. It's pleasant in a fairly direct key and will drink very well with simple grilled meats or roasts. Expect it to go quickly. Deep pyrope ruby with black reflections and some almandine in the rim. The bouquet is moderately intense,with ith jammy balsamic notes -- prune jam -- supported by hints of cassis and graphite shavings, and some greenish vegetal notes as well. On the palate it's ample, with fairly rich berry fruit supported by mineral acidity and by clean graphite laced tannins that flow into a fairly long tannic finish with dry savory underpinning. Because of the dryness of the finish it won't work well by the glass, though it will work well with a hearty roast or stew. Porciatti's Delicatessen in Radda in Chianti is one of those places that Tuscans say "fa conca," or draws, because sooner or later everyone winds up there. Last Thursday at about 12 I was there with Giovanna Stianti from Castello di Volpaia, Liviana Manetti from Montevertine, Riccardo Lanza from Pruneto, and a number of other people who don't make wine. All just shopping, the traditional shopping with talk, kidding, and laughter that lets you relax and be happy, and that allows you to feel astonishment at the quality of the foodstuffs. In short, the opposite of the supermarket experience. And even if you're buying just bread your eye will inevitably fall upon Radda's famed Tonno (tonno is usually tuna, but in this case pork loin prepared in a particular way) or upon one of the many cold cuts Luciano Porciatti has been making practically since he could crawl. All top quality foods, and it's difficult to say which is best. And while you're thinking, Luciano occasionally pontificates, but more often teases. For example, I'm the one deserving of pity because I'm from Poggibonsi: I'm lucky enough to make the occasional trip to the prettiest town in the world (Radda in Chianti, obviously). Thank God that my grandparents were from Radda and I still have a few relatives in the area, because otherwise the kidding would have come down much harder. And it was the thought of the relatives Luciano mentioned that led me to write this note, which isn't about Porciatti's delicatessen, but the town that has always been my second home, and, of course, its wines. 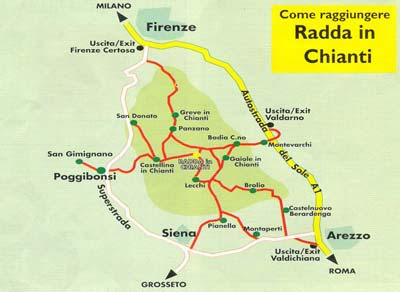 Those who reach Radda passing through Castellina in Chianti will understand how thoroughly isolated it is. And to think that when Sergio Manetti, a pure-bread Poggibonsese just like me, started to make wine there the asphalt stopped just a couple of miles outside Poggibonsi, and it then took almost an hour and a half to reach Radda (35 km, or about 22 miles) along what the tourists called "the white (i.e., dirt) road of Chianti" and the locals simply called "the dust bowl". Slowly, asphalt replaced dirt, but Radda's roots, which are anchored to its wines, have held firm. The lands where many wine makers have, over the past 30 years, planted their vineyards, are the bones of the earth. Galestro rock, which, combined with the elevations, on average higher than 450 meters, give Radda's wines a combination of backbone, freshness, aromas, angularity, elegance and finesse that are difficult to understand, though it's very pleasant to work at it. Radda's Sangiovese is certainly neither rich nor opulent; rather it's a red that revolves around the finesse and austerity it draws from the ground. This austerity can open to reveal elegant aromas and deft tannins such as those of the wines of the Val delle Corti, or can remain lively and garrulous for years, like the wines of Caparsa and Pruneto. The can also gain admiring renown worldwide (Montevertine), or in lamentable rare cases be humdrum. If we were to move the area to Langa, Radda would be the intersection between Monforte and La Morra. My advice, one you have reached Radda, is to walk around the small town looking out to the horizon: You'll be astonished by what you see, rolling forests and fields from which people have drawn vineyards. A land that observes those who watch it with detachment, that thinks of itself as its own master, and that gives of itself only reluctantly. As it reluctantly conceded the juniper berries that the women of Chianti picked without the benefit of gloves until the late 1960s (if you can do it without pricking yourself you're very good), giving them to Uncle Ezio, who took them to the "Macchi Pompilio Ingrosso Alimentari" company, which in turn sent them to distilleries abroad to become gin. Now the berries stay where they are, because the bony land has found another way to gain the appreciation of the world: a way variously called Sangiovese, Chianti Classico, or Supertuscan. If you think about it, they too are distillates, distillates of the land of Radda. Three years ago we organized a beautiful tasting of Sangiovese just made form single vineyards, trying to find the characteristics of the individual vineyard parcels in the wines. It was an eye-opening experience, and the various terroirs of Radda in Chianti emerged forcefully. If you haven't figured it out, I love Radda not just because my roots are there, but because it has remained true to itself, neither filling with shops that are all the same, nor succumbing to the weight of tourism. It's a town built to the measure of man, that makes wines of my size. Yes, this is what a winery's aging hall looks like with the door ajar. And selling the wines is just as frantic; Paolo was mobbed at the Chianti Classico Anteprima last week, and will be going to both the US and the far east before heading to Germany this month. He's never still. Tenuta Poggio Rosso is about as close to being an Island Estate as a continental estate can be: It's located on the thinnest part of the Promontorio di Piombino (south of Bolgheri, on the Tuscan coast), at an elevation of 35 meters, 700 meters from the Golfo di Baratti (to the north) and 3 km from the Golfo di Follonica (to the south), and this means that it is well aerated, and protected from the fierceness of the summer heat, while temperatures do fall off during the nights. The perfect place for a winery, and there were vineyards on the property at one time. However, the former owner died in the early 1990s, and his second wife's sons, who inherited the land, lived in Switzerland. They had no interest in becoming winemakers, and instead looked over EEU agricultural law, discovering that there were economic incentives for those interested in restoring coastal Mediterranean scrub forests. So they ripped out the vineyards and planted trees. In orderly rows that could be thinned, recalls Diego Monnelli, whose father and uncle bought the 20-hectare property in 2002, adding that they were able to thin the groves, and then move what they thinned (there are laws against simply chopping down trees) to make break winds for the vineyards they planted -- about 6 hectares, a bit more than 4 of reds, and the remainder whites, and for about 600 olive trees. Given the youth of the vineyards, which just entered into production a couple of years ago, one cannot expect great wines, but I was pleasantly surprised by the four wines that Diego and his cousin Chiara, who run the estate (the family's primary business is the production of equipment to monitor industrial processes) presented at Il Cibreo, in Florence. Before we get to the wines, a word about the palm tree that figures on their labels: It's based on the mark of an Etruscan amphora maker whose kilns were nearby, and whose amphorae have been found as far away as Egypt. And, while we're at it, the names of the wines: They are all Etruscan, and are another reference to the area's long and rich history. We began with a 70/30 Vermentino-Viogner blend; they have 3/4 hectare of Vermentino, which is somewhat more productive -- 50 quintals/hectare -- and a hectare of Viogner that yields 35 q/ha. The wine is in part barrel fermented and in part tank fermented, and spent 9 months on the lees, with regular battonage; it was bottled at the end of the summer. This is the second vintage. Brassy yellow, with a fairly rich bouquet with some apricot and bitter almonds, slight honey, slight greenish apricot skins, licorice root, and nice underlying minerality. On the palate it's fairly rich, with pleasant apricot fruit supported by minerality, spice and some gunflint bitterness and savory notes that flow into a clean savory finish with some vegetal apricot accents. Pleasant, and will drink quite nicely as an aperitif or with delicately flavored fish, and evolves beautifully in the glass too, gaining both fruit and interesting savory notes Impressive, and it will be interesting to taste future vintages from more mature vineyards. We then tasted an unlabeled experiment, a 2009 Viogner that they decided to bottle in purezza because they had a little extra. A thousand bottles, tank fermented and then with nine months of battonage. Brassy gold with tawny reflections. The bouquet is quite mineral, with some brambly accents mingled with heather and sea salt. On the palate it's pleasantly languid, and quite mineral, with mineral acidity that flows into a clean slightly sour mineral finish. Nice depth and promises very well for the future; it's a touch coarser and distinctly more mineral than the Phylika, but very much alive and has great potential. It also improved markedly in the glass during the course of the meal, revealing ripe apricot fruit that balances the minerality. We suggested that they come up with a label for it and put it on the market. We then shifter to reds; they have Cabernet Sauvignon, Merlot, Petit Verdot (which they're not happy with and will remove) and some Sangiovese. Ultimately, they want to produce varietal wines, but haven't gotten there yet. This is a Sangiovese Merlot blend, and this is the second vintage (there was no 05). It's impenetrable pigeon blood ruby with cherry rim, and has a fairly rich, tart bouquet with sour cherry fruit supported by slight greenish accents and some cassis, though what really stands out is the brambly character of the Sangiovese. It's pleasant and reveals fairly rich complexity, though it is evident that the vineyards are young. On the palate the Merlot is more apparent; it's fairly full with moderate dusky berry fruit supported by very smooth tannins that have a cedary overlay and flow into a clean rather bitter tannic finish. It's pleasant but the vineyard needs time; the wine has nice potential but the fruit isn't as rich nor as full as it will be in a few year's time. In short, something to keep an eye on for future vintages. This is a Cabernet Sauvignon. It's deep pigeon blood ruby with violet rim. The bouquet is fairly rich, with graphite shavings and forest berry fruit mingled with bitter accents and slight grassy herbal notes, while there are also alcohol and pencil shavings. Pleasant and fairly rich, though the youth of the vineyards is shown by a certain lack of complexity. On the palate it's medium bodied with pleasant minerality and considerable graphite shaving bitterness, supported by minerality and smooth rather bitter tannins that flow into a clean bitter tannic finish with leafy underbrush accents. Quite nice, though future vintages will be better. Diego said that for them 2006 was long and hot, and yielded awkward wines; he has great hopes for the 07 vintage, which is more agile and displays greater finesse. As I said, Tenuta Poggio Rosso is located on the neck of the Promontorio di Piombino. It's a very pretty area, and if you are in Tuscany you could either make a day trip of it, combining a winery visit with a visit to Populonia or the Parco Archeominerario di San Silvestro (or both), or if it's hot, a swim in the Golfo di Baratti. You will also pass by them if you are heading to Piombino to go to the Island of Elba, which is also well worth a journey. "A denomination that fails to communicate terroir, wines that are all very similar, made following a standardized method that makes it impossible to perceive the differences from producer to producer" -- and -- "The wines are so different that it's difficult to find a common denominator; one has an impression of considerable variability that makes it impossible to identify the distinctive characteristics of the terroir." Another: "These so-called Natural wines, especially when made from white grapes, are very difficult to tell apart -- they all seem quite similar, even if the varietals are different. 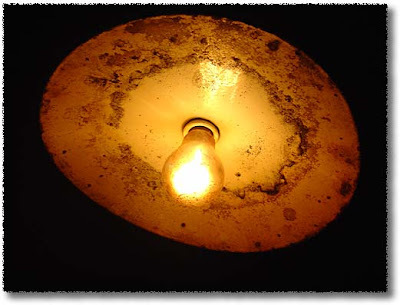 And what's more, they often stink," -- and -- "Industrial wines lack soul. They are made on the assembly line, the same every year and far from any idea of terroir. They may be technically perfect, but they are soulless, because they are a product of the cellars." Where is, if there is, the element that leads to these similar conclusions reached from very different starting points? Is it the "human touch," or the set pattern that appears, almost by magic, regardless of the path taken? Don't expect a clarifying answer because I'm not about to give it. It's much better to tell of a wine that doesn't bring up these contradictory opinions, simply because it's free of affectations and highfaluting goals, and "is what it seems to be," as the add for a well-known grappa has been repeating for months. And to tell the truth, a wine like this, in this dark age we live in, one in which everything and its opposite seem to be true, is an anchor, a shining light that allows us a moment free from worry. I am speaking of "Menelic." Not the famed late 18th century Ethiopian king, but a Cru of Roero Arneis, 2009 vintage, made by Emanuele Rolfo of Cá di Cairè. Yes, an Arneis, a wine from a varietal that finds itself playing second fiddle thanks to that uniquely Italian trait of chasing after the latest trend. Piemonte is certainly not famous for its white wines, but of late we've heard a great deal about Timorasso and Nascetta, the former a reality and the latter a promise. And yet Arneis has been grown in Roero for centuries, and is produced by many wineries, some of which have also experimented with maceration on the skins, or wood use, or autochthonous yeasts. Just a picture this time, because Martino Manetti's cellars don't require much in the way of words. Montecucco is a relatively obscure, and also rather large Tuscan appellation: It begins on the slopes of Monte Amiata (the volcano facing Montalcino) and extends almost all the way to the coast. As such one cannot really talk of a specific terroir, because there are many, nor can one talk of a specific set of climatic conditions, because what one finds on Monte Amiata is quite different from what is closer to the coast. 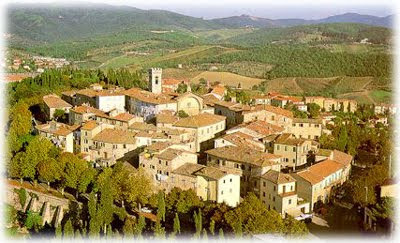 In terms of composition, Montecucco is much more open than Montalcino: Montecucco Rosso must be 60% Sangiovese, with the remainder non-aromatic red grapes allowed by the Province of Grosseto, which include foreign imports such as Cabernet or Merlot, and domestic varietals such as Colorino or Canaiolo. Montecucco Sangiovese must instead be at least 85% Sangiovese, with the remainder approved varietals, and in this respect its composition resembles that of Chianti Classico. And as is the case in Chianti, some of the producers use just Sangiovese. As I noted when I wrote about it in 2007, it's a relatively new appellation; in the past production was strictly for local consumption, and since wine was an important source of calories for the farmers, who depended upon it to survive, the emphasis was much more on quantity than quality. Said emphasis is changing, however, and now producers are working to achieve quality. With success; many of the wines presented, especially the Rossi, were pleasant food wines of the sort one sets out on the table to enjoy with the meal, and I found them to be both refreshing and successful. I tasted these wines in the Montecucco Consorzio's headquarters on October 9 2010, with Carlo Macchi and Pasquale Porcelli of Winesurf. The wineries are in the order the Rossi were poured in. Lively cherry ruby with black reflections. The bouquet is quite fresh, and young, with lively berry fruit supported by floral accents and some jammy vegetal notes. Pleasant in a young, zesty key. On the palate it's bright, with lively cherry strawberry fruit supported by moderate acidity and tannins that have a slight greenish burr, and flow into a clean strawberry finish that gains depth from bitter accents. Light zest in the glass, and will drink well with red-sauced pasta dishes, simple grilled meats, and light stews. A lark of a wine, which will go quickly, and will be perfect at a cookout too. Ruby with black reflections; it's not quote almandine but much more in that direction than the first. The bouquet is moderately intense, with some cherry fruit that has dusky vegetal accents and spice, and some savory notes. On the palate it's medium bodied and fairly sweet, with fairly rich cherry fruit that has some jammy accents, and flows into a fairly long fruit laced finish that resolves into bitterness with some underbrush accents; it's supported by moderate acidity, while the tannins are quite light and smooth. A simple wine for pasta dishes, hearty vegetable soups, and also pizza and similar. Dusky pale brick ruby with black reflections. The bouquet is quite fresh, with violets and floral notesmingling with red berry fruit and slight savory notes. Pleasant youth. On the palate it's fairly light, with lively fairly sweet cherry strawberry fruit supported by clean strawberry acidity and light smooth tannins that flow into a clean fresh strawberry laced finish that gains definition from slight bitterness. Pleasant, a lark of a wine that will work quite well at a cookout too, or with simple pasta dishes, vegetable-legume soups, or quickly cooked meats, and, because of it sweetness and lightness of tannin, will also be a good bet with oriental dishes. Deep black almandine with black reflections and almandine rim. The bouquet is fresh, with pleasing berry fruit supported by some floral accents and slight hints of almond paste that may sound odd, but are pleasant. On the palate it's rich, with powerful cherry plum fruit supported by moderately intense plum acidity, and by smooth sweet tannins that flow into a clean fresh fairly sweet (for a dry wine) cherry plum finish with some tannic underpinning. It's pleasant, in a ripe fruit driven key, and will work well with drier meats, ranging from pork loin through turkey breast. Deep black cherry with violet rim. The bouquet is intense, with very ripe cherry plum fruit supported by powerful violets and other fresh floral accents, with some underlying sweetness and slight underbrush as well. A bit on the voluptuous side. On the palate it's medium bodied, with fairly rich sweetish cherry plum fruit that gains definition from lively red plum acidity, and is supported by light sweet tannins that flow into a warm plum strawberry finish. Pleasant in a light direct voluptuous key, and will work well with quickly cooked meats, light pasta sauces, and also, because of the lightness of the tannins will be a nice bet with oriental dishes. Expect it to go quickly. Deep black cherry ruby with black reflections and brick cherry rim. The bouquet is intense, and quite vegetal, with unusual spicy notes that bring Sichuan preserved vegetable to mind; as it opens they fade (in part), revealing some berry fruit. On the palate it's medium bodied and fairly sweet, with cherry plum fruit supported by moderate acidity and tannins that are fairly smooth; I had expected a little more verve from the nose, whereas the palate is more settled. Simple and direct. Lively cherry ruby with brilliant cherry rim. The bouquet is fairly intense, and a bit more vinous than some, with berry fruit supported by some underbrush and acidity, with slight sweetish accents but less floral intensity, though with time some violets emerge, gaining in intensity as the wine airs. On the palate it's fairly light, with moderately intense dusty berry fruit supported by underbrush bitterness and tannins that are fairly smooth, with a bitter cast, and flow into a rather bitter finish. It's still quite light, but more brooding than some, and will work well with simple grilled meats or light stews. Deep black cherry ruby with black reflections and cherry rim. The bouquet is fairly rich, and savory, with cherry and forest berry fruit mingled with some jammy notes and slight vegetal accents, with some acidity as well. On the palate it's fresh, with lively berry fruit supported by smooth sweet tannins and deft slight greenish acidity that flow into a fairly long berry fruit finish. Pleasant in a fairly graceful middle of the road key, and will be nice with grilled meats that aren't too fatty, or also with drier roasts, e.g. turkey with stuffing, gravy and everything else, I enjoyed the fruit. Black cherry ruby with black reflections and cherry rim. The bouquet is dusky, with moderate berry fruit and some warmth supported by tart spice. On the palate it's ample, smooth, and soft, with moderate berry fruit supported by acidity that's mineral more than fruit and lacking in intensity, and by tannins that are quite smooth and glancing. Deep cherry ruby with black reflections and cherry rim. The bouquet is fairly bright, with strawberry fruit supported by acidity and slight underbrush, and by some violets. On the palate it's light, with fairly bright strawberry fruit that's supported by lively strawberry acidity -- it's not as sweet as some -- and by light smooth tannins that flow into a clean strawberry laced finish. It's fairly bright, and has more acidity than some of the others; this will make it a good cookout wine, and also pleasant with simple grilled meats or light stews. Deep black almandine with black reflections and cherry rim. The bouquet is fairly intense, in a rather rustic key, with balsamic cedary notes mingled with some stable straw and warmth. On the palate it's ample, with fairly rich cherry fruit supported by warmth and moderate berry fruit acidity, while the tannins are fairly smooth, but do have a dusky burr to them, and flow into a clean rather tannic finish. It's fairly traditional in feel, and slightly lacking in intensity of fruit; if you like the style you will enjoy it, but you have to like the style. Lively black cherry ruby with black reflections and cherry rim. The bouquet is quite fresh, with intense violets mingled with moderate berry fruit, though what really stands out is the flowers, and there is slight underlying sweetness as well. On the palate it's light, with ripe strawberry cherry fruit supported by moderate acidity and by tannins that have a slight dusky burr, and flow into a clean cherry-laced finish with some bitter accents. Pleasant, in a light key, though it does have slightly more body than some of the others, and will drink well with simple foods. Deep black cherry ruby with black reflections and some almandine in the rim. The bouquet is fairly rich, with berry fruit supported by some underbrush and slight vegetal accents, and also by some spice and acidity. On the palate it's medium bodied, with fairly rich cherry fruit supported by bright berry fruit acidity and some greenish accents, while the tannins are moderately intense and flow into a clean fairly bright berry fruit finish with lasting warmth. Pleasant, in a rather bright cheeky key, and will drink nicely with grilled meats or roasts, including -- because of the acidity -- grilled lamb chops. Deep black almandine with black reflections and almandine rim. The bouquet is mineral, with greenish accents and some vegetal notes supporting bitterness and berry fruit. On the palate it's full, with fairly bright berry fruit supported by berry fruit acidity and by smooth sweet tannins that have a well polished cocoa overlay from oak, and flow into a fairly oaky finish. It's soft, and rather rich in a sort of opulent way, and if you like the style you will enjoy it, though I found it a but understated, with the fruit surrendering a little too quickly to the other elements. Deep cherry ruby with black cherry rim. The bouquet is fairly rich, with cherry-strawberry fruit supported by strawberry acidity and floral accents, violets, and also by slight dusky notes. On the palate it's light, with fairly rich cherry fruit supported by dusky underbrush and moderately intense mineral acidity, while the tannins have a slight bitter burr, and flow into a clean dusky cherry fruit finish with dusky tannic underpinning and slight residual sweetness. It displays a little more depth than some, with more burr to the tannins, and this will make it be a pleasant cookout wine that will also work well with simple grilled meats, form ribs through chicken (not a steak). Deep black cherry ruby with black reflections and black reflections. The bouquet is fairly bright, with berry fruit supported by brambly accents and some cedar mingled with wet paper -- not as clean as it might be. On the palate it's fairly sweet, and quite soft, with cherry plum fruit supported by moderate plum acidity and by tannins that are slightly brambly, flowing into a dusky butter tannic finish with plum overtones. It's quite soft, lacking in definition, and lumbers some, while the tannins are a little dry. Lively almandine with black reflections and almandine rim. The bouquet is unusual, though it opens to revel violets and strawberry cherry fruit. Quite fresh, and light. On the palate it's light, and direct, with fairly sweet strawberry cherry fruit supported by slight strawberry acidity and by smooth light tannins that flow into a clean strawberry laced finish. It's extremely direct, and will work well in simple situations. Lively cherry ruby with black reflections and white rim. The bouquet is fresh, and fairly intense, with unusual sandalwood notes mingled with berry fruit and strawberry acidity, and also some spice. As it opens the spice gives way (in part) to vegetal notes, artichokes and bell pepper. On the palate it's fairly light, and disjointed, with dusky plum cherry fruit supported by peppery spice and tannins that have a dusky graphite burr and flow into a warm dusky finish. It stands out some, with tannins that are more aggressive, and also has a more brooding quality; it will work well with grilled meats or light stews, and also with legume or bread based soups. Lively black cherry ruby with black reflections and cherry rim. The bouquet is rich, with elegant spice mingled with black cherry fruit and a certain warmth, with slight greenish balsamic notes. Harmonious. On the palate it's full, and fairly rich, with moderately intense cherry fruit supported by warm acidity and tannins that have a slight cedar overlay and flow into a clean cedar-vanilla laced berry fruit finish with lasting warmth. It's graceful in a fairly fruit driven key, though it is one of the more heavily and obviously oaked wines tasted so far, and will drink nicely with stews or roasts. Deep cherry ruby with black reflections and cherry rim with slight hints of garnet. The bouquet is fresh, with moderate berry fruit supported by brambly accents and some spice, Direct. On the palate it's medium bodied, with fairly sweet cherry strawberry fruit supported by moderately intense berry fruit acidity and bitterness, and by tannins that have a warm vegetal burr and flow into a clean rather green finish with some sweetish accents. Direct and simple, a nice cookout or simple grilled meat wine. Lively cherry ruby with black reflections and ruby rim. The bouquet is fairly rich, with sour cherry fruit supported by some floral accents and some underbrush. On the palate it's fresh, and fairly vegetal, with cherry fruit supported by greenish vegetal accents and fairly bright berry fruit acidity, while the tannins are warm and have a slight burr, and flow into a greenish tannic finish with fairly intense tannic underpinning. It's pleasant in a spicy more vegetal key (more Cab? ), and will drink nicely with simple grilled meats, hearty legume or bread based soups, and similar. Lively cherry ruby with black reflections and cherry rim paling to white. The bouquet is powerful, and quite vegetal, with artichoke stems and some bitter accents mingled with slight sour metallic notes. On the palate it's light, with moderately intense cherry fruit supported by graphite bitterness more than acidity, and by tannins that have a slightly greenish burr, and flow into a bitter cherry finish with some sweetness, and tannic underpinning. It's more vegetal than many, and this is likely the blend. Deep black almandine with black reflections and cherry rim. The bouquet is fairly intense, with berry fruit supported by cedar and some spice, with savory accents as well. On the palate it's pleasant, with rich cherry fruit supported by moderately intense dusky acidity and tannins that have a warm burr, and flow into a fairly dry tannic finish with cherry fruit underpinning. The palate is richer and more pleasant than one might have guessed form the nose, while the overall package is quite enjoyable, and the wine will drink well with roasts, and also be a good bet with mixed grilled meats. Lively cherry ruby with black reflections and slight hints of garnet in the rim. The bouquet is fairly intense, in a more rustic key, with balsamic notes that are a little unusual in a wine this young, and slight hints of stable straw, with fairly bright acidity as well. Particular, and you will like it or not. On the palate it's medium bodied, with brambly berry fruit supported by greenish brambly acidity and by tannins that have dusky greenish vegetal underpinning and flow into a fairly long sour cherry finish. It's more aggressive, and more vegetal than many, and because of its aggressiveness will be a good bet with simple grilled meats, or with fried meats and vegetables. Lively black almandine with black reflections and almandine rim. The bouquet is bright, with greenish accents mingled with spice and some vegetal notes, also some cedar and underlying sweetness. On the palate it's moderately intense, with moderate fruit supported by some acidity, and by dusky tannins that flow into a clean slightly mineral finish. I'd have liked greater depth and richness overtones the fruit. Deep black almandine ruby with black reflections and cherry rim The bouquet is fairly intense, with cherry fruit supported by greenish spice and some peppery accents, and by some underlying cedar. On the palate it's pleasant, with fairly rich cherry fruit supported by deft greenish cherry acidity, and by smooth sweet tannins that flow into a fairly bright berry fruit finish. Pleasant, and I might not have guessed it was a 2005, which I associate with a more brambly cool weather cast; it will drink nicely with grilled meats or roasts and ahs a cheeky charm to it. Deep black cherry ruby with black reflections and cherry rim. The bouquet is a little unusual, with berry fruit laced with candle wax that blows off, and supported by some bitter accents and spice. On the palate it's bright, with lively strawberry cherry fruit supported by brambly acidity, and by tannins that are fairly smooth, though they do have some brambly accents, and it flows into a clean rather sour cherry finish with tannic underpinning. The tannins are slightly drier than some, and will drink well with simple grilled meats or light stews. Black cherry ruby with black reflections and cherry rim. The bouquet is fairly intense, and rather dirty -- oxidized with some sweetness. On the palate it's quite tannic, astringent even, with moderate sour berry fruit supported by slight acidity, and overshadowed by decidedly greenish almost artichoke astringency. It's not what I think of as Sangiovese. Deep black cherry ruby with black reflections and cherry rim. The bouquet is fairly intense, with moderate berry fruit supported by alcohol and warmth; there are also some greenish accents. On the palate it's pleasant, and medium bodied, with fairly rich cherry fruit supported by deft berry fruit acidity, and by slight greenish vegetal accents, while the tannins are clean and slightly vegetal, flowing into a clean berry fruit finish. Pleasant, in a fairly direct key, and will drink nicely with simple grilled meats or light stews. Deep black cherry ruby with black reflections and cherry rim. The bouquet is dusky, with penetrating spice and some greenish accents mingled with berry fruit and wet rag, it's not as clean as I might have liked. On the palate it's richer than the nose suggests, with fairly bright cherry fruit supported by deft berry fruit acidity and by tannins that have a slight cedar laced burr, and flow into a clean fairly sour cherry finish. It's better on the palate than the nose, and will drink well with hearty red meats, ranging from scottiglia, the local mixed meat stew, through steaks and roasts. Deep black almandine with black reflections and almandine rim. The bouquet is fairly intense, in a fairly rustic key, with balsamic notes and some barnyard tang, wet stable straw, and spice. On the palate it's a bit muddy, with berry fruit that has some hazelnut accents, and is supported by brambly greenish notes, and tannins that are rather dry and flow into a dry finish. Deep black cherry ruby with black reflections and almandine rim. The bouquet is muted, though swishing brings up some spice and cherry fruit. On the palate it's ample, with moderately intense cherry plum fruit supported by moderate acidity and smooth sweet tannins that flow into a fairly sweet berry fruit finish with some underbrush accents. I'd have liked more intensity to the nose, which is oddly silent. Dusky deep almandine with black reflections and almandine rim. The bouquet is not as clean as it might be, with some wet rag mingled with alcohol and savory accents. On the palate it's dry, with moderate berry fruit supported by bitterness more than acidity, and hulking tannins that flow into a dry rather bitter finish with slight balsamic warmth. It's not really settled, but does lack verve, and has a slightly tired feel to it. The nose is odd -- smells like peanut shells. Oak, and powerfully toasted oak that covers everything. Pity, because on the palate there is cherry fruit supported by fairly bright acidity, and by tannins that are initially smooth and savory, carrying into a finish in which the smoky notes emerge to a degree. With different wood it would have been quite nice. Deep cherry ruby with black reflections and cherry rim. The bouquet is a bit unusual, with coconut shavings mingled with spice and warmth, and as it opens some greenish fruit with savory accents too On the palate it's ample, and soft, with fairly rich rather lax cherry black currant fruit supported by moderate acidity and very smooth tannins that have a slightly greenish cast and flow into a fairly bright berry fruit finish. It's pleasant, but a little laxer than I might have liked, and will drink well with drier roasts or similar. Lively black almandine with black reflections and almandine rim. The bouquet is fairly rich, and elegant, with warm cedar-laced sour cherry fruit supported by deft acidity and some vegetal accents, and pleasing spice. On the palate it's rich, with powerful cherry fruit supported by deft berry fruit acidity and smooth sweet tannins that flow into a fairly long cherry finish with slight cocoa underpinning. Pleasing, in a fairly rich key, and will drink nicely with grilled meats or hearty not too fatty roasts, and I would think about serving it with roast beef that's not absolutely rare. Deep black cherry ruby with black reflections and cherry rim. The bouquet is fairly rich, and spicy, with fairly intense berry fruit supported by greenish accents and some wet earth; it's not as clean as it might have been. On the palate it's fairly full, with moderately intense berry fruit supported by slight acidity and by tannins that have an ample sweet cedar overlay to them, and flow into a fairly long warm tannic finish. I'd have liked more brightness to the fruit, which doesn't quite manage to contrast the tannins. Deep black almandine with black reflections and almandine rim. The bouquet is fairly intense, with considerable underbrush and some brambly vegetal accents -- bell peppers -- supporting red berry fruit with some underlying spice that includes hints of nutmeg. On the palate it's bright, with fairly rch cherry black currant fruit supported by greenish vegetal acidity and by tannins that are fairly smooth, but again display a greenish vegetal overlay, and flow into a rather tart tannic finish. It's bright at the outset but becomes more strident in the finish, and because of the tart acidity and warmth will work well with fattier foods, for example grilled or fried lamb chops, or a hearty stew. It is a bit particular, and you have to like wines that display a degree of aggressiveness. Black almandine with black reflections and cherry rim. The bouquet is fairly intense, with red berry fruit supported by spice and some warmth. On the palate it's fairly rich, with lively cherry fruit supported by smooth sweet tannins and moderate acidity that flow into a clean fairly bright cherry finish with tannic underpinning. It's fairly direct, and the tannins have a glancing key to them, but will drink nicely with grilled meats or alight roasts. Deep black almandine with black reflections and almandine rim. The bouquet is not as clean as it might be, with metallic accents and some greenish notes. On the palate it's full, with fairly bright berry fruit supported by lively berry fruit acidity, and by tannins that have a dusky rather lumbering burr, and flow into a fairly quick tannic finish. It's quite direct, and I'd have liked better definition on the nose. Deep black cherry ruby with black reflections and cherry rim. The bouquet is intense, and rather smoky, with some brambly hazelnut accents, and a fair amount of well-wet leather as well, and some underbrush. On the palate it's medium bodied, with fairly rich bright cherry fruit supported by lively cherry acidity, and by tannins that are smooth and have a slight burr, and flow into a fairly bright fresh cherry prune finish with tannic underpinning. Pleasing in a direct rather cheeky key, and will drink well with grilled meats or roasts; it will also be nice with a steak and would be a good, though substantial bet for a cookout. Deep black almandine with black reflections and garnet rim. The bouquet is fairly intense, with spicy smoky notes mingled with some bell pepper accents and underlying forest berry fruit. On the palate it's ample and rather languid, with moderately intense prune cherry fruit supported by some brambly greenish acidity and by tannins that have a warm cedar overlay and flow into a fairly long greenish finish. Deep black almandine with black reflections and almandine rim. The bouquet is moderately intense, with greenish accents and some spice, but not much fruit. On the palate it's a little richer than the nose suggests, with moderately intense berry fruit supported by spice and some acidity, and by a degree of sweetness, while the tannins are fairly dusty, and flow into a clean dusky finish. It's pleasant enough, but a bit settled, and I'd have lived more verve and depth to the fruit, and greater acidity, which would keep things on its toes. It feels as if the potential is there, but doesn't quite reach far enough.